Surfers and other beach goers on Christmas day near Asbury Park (Monmouth County). Photo by Robyn Gerbush. New Jersey residents will long remember the last month of 2015 as one where the grass remained green, weeds grew, and a few blossoms were seen on trees and shrubs. In fact, with an average temperature of 47.8°, it was the mildest December on record by a wide margin based on records dating back to 1895 (Table 1). Five of the 6 mildest Decembers have occurred since 2001. The anomaly of +12.2° exceeds the +11.0° value in January 1932 as the largest positive anomaly of any month on record. The 5.6° difference between this December's average and the second mildest in 2006 is by far the largest difference between first and second warmest values of any month. The second largest margin is 2.3° between October 2007 and 1971. With 121 years of records, as exemplified in the table, the difference between one ranking and the next is often a tenth to a few tenths of a degree. Table 1. Top 10 warmest NJ Decembers since 1895. The various oddities of this month's temperatures go on and on. Most locations did not see a single day where the average temperature was below normal. There were several days with record-breaking maximum and record-high minimum temperatures, primarily from 12th–15th and 24th–25th. On 17 days the maximum equaled or exceeded 60° at one or more locations and 7 of these found a few stations at or above 70°. Newark Airport did not fall to the freezing point on a single day, when since back to 1931 the previous highest December minimum was 25° in both 1974 and 2012. Had this had been a NJ November, December 2015 would have been the 16th warmest of the past 121 years at +2.0° above the 1981–2010 November average, or the 4th mildest March at +6.5°. There have even been 18 Aprils colder than this December, which was -3.6° below the April average. The average statewide temperature was close to the long-term December normal in locations such as Macon, Georgia, and Jackson, Mississippi, and almost 2° milder than expected in Atlanta, Georgia. The major factor leading to the unusually persistent and, at times, extreme warmth was a ridge of high pressure that establish residency over the western Atlantic and eastern U.S. Acting much like a summer time Bermuda High, it pumped mild air into the mid Atlantic and kept the polar jet stream, thus cold air, well to the north. For a good portion of the month, the polar vortex was quite strong, with this contributing to the isolation of very cold air in the Arctic. An active storm track running northward from the south central U.S. into the Great Lakes (around the west side of the ridge) helped pump mild air into the East and, especially in the second half of the month, meant the warmth was accompanied by clouds, fog, and rain. Several influences conspired to develop and perpetuate this atmospheric pattern. First of all, as suggested in Table 1, NJ is getting warmer, in lock step with most of the globe; the warming that in recent decades is largely attributable to human activities. Thus other influences on the region are occurring on a foundation or baseline that is milder than in previous decades. This past month, these influences include the previously mentioned strong polar vortex, which might or might not be associated with lower-than-average sea ice cover this past fall, and also the ongoing El Niño event in the tropical Pacific. There are no reliable relationships between El Niños, even very strong events such as the current one, and NJ weather (see the recent evaluation of such potential relationships here). However, it appears likely that atmospheric moisture and energy flowing out of the El Niño region contributed to the strength and persistence of the ridge, and amplified the powerful, moist storm track that helped pump warmth and moisture into the eastern two thirds of the nation this past month. The first ten days of the month were on the mild side, however, the excessive warmth did not begin until the 11th when Cape May Courthouse (Cape May County), Oswego Lake (Burlington), and West Creek (Ocean) topped out at 66°. Hammonton (Atlantic) and Oswego Lake reached 74° on the 12th, with 17 other NJWxNet stations (out of 56 total) between 70°–73°. The 13th was the warmest day of the month, with Oswego Lake up to 77°, Hammonton 76°, and 29 other stations from 70°–75°. The other 25 stations were between 60° (Wantage [Sussex]) and 69°. Eight stations made it to 72° on the 14th, with all others between 59° (High Point Monument [Sussex]) and 71°. A uniform distribution of high temperatures on the 15th saw nine stations at 68° and the remainder between 59° (High Point Monument) and 67°. Within this mid-month spell of mild days, records were achieved, or nearly so, for consecutive December days with the thermometer topping out at 60° or higher. This included six consecutive days at New Brunswick (Middlesex), where the previous record was five days back in 1951 (records back to 1896). Later in the month, a four-day run tied with six others for the third longest run. Newark Airport (Essex) and Atlantic City Airport in Pomona (Atlantic) each had two six-day runs, which are only surpassed by a seven-day run that started off December 1998 at each location (records back to 1931 at Newark and 1958 at Pomona). Plus 65° warmth returned on the 23rd when Mansfield (Burlington) reached 70° and six stations made it to 69°. Christmas Eve maximums included 73° at Oceanport (Monmouth), with 30 stations between 70°–72°. Bivalve (Cumberland) was coolest at 62°. Christmas found Oswego Lake up to 72°, Hammonton, Mullica (Atlantic), and Piney Hollow (Gloucester) at 71°, West Cape May (Cape May) and West Creek at 70°, and 47 locations between 60°–69°. Wantage and Walpack (Sussex) only made it to 58° and High Point (Sussex) to 59°. The last several days of the month saw a wider disparity between a mild south and cooler north than had been seen earlier. Cape May Courthouse and West Cape May (Cape May) reached 70° on the 27th, with 39 stations between 60°–69°, while High Point Monument only reached 49°. Cape May Courthouse, West Cape May, and Woodbine (Cape May) topped out at 63° on the 29th, while the Monument station only made it to 33°, with traces of snow on the ground. West Cape May and Cape May Courthouse reached 60° on the 31st, with High Point only to 40°. The cold nights of December 2015 were not all that cold. Still, on 12 days somewhere in the state dropped to between 20°–25°. Pequest (Warren) was the first, with a 25° low on the 4th. Basking Ridge (Somerset), Kingwood (Hunterdon), and Pequest dropped to 22° on the 5th, when 31 other stations were between 20°–29°. The 6th was the coldest day of the month, with Kingwood down to 20°, Basking Ridge and Walpack at 21°, and 41 stations from 22°–29°. Meanwhile, four stations, including Harvey Cedars (Ocean), which only fell to 40°, failed to reach the freezing point. Pequest was 22° and Hopewell (Mercer) 23° on the 7th, Walpack 21° and Pequest 23° on the 8th, and Walpack again 21° and three stations 23° on the 9th. Colder nights returned on the 18th with Walpack down to 24°, and on the 19th with Walpack at 23° and High Point Monument 24°. The 20th was among the coldest days of the month, with Walpack 22°, Pequest 23°, and all but Lyndhurst (Bergen; 34°) and West Cape May (33°) above the freezing mark. The 21st saw Walpack at 22° and three sites at 23°. A week later, High Point fell to 22° and Wantage and High Point Monument to 23°. High Point and Wantage reached 22° on the 29th, when the minimum was a mild 50° at West Cape May. The 20th marked the first day this cold season that the temperature fell to freezing at the Atlantic City Marina (Atlantic) NJWxNet SafetyNet station. This ends the growing season at 235 days (3/30–12/19) based on observations from this station. However, this station is collocated with a National Weather Service Cooperative station that has existed since 1874. The Coop station only fell to 33° on the 20th, and through the end of December had yet to reach freezing. Thus with the last spring freeze of March 29th, the same as the SafetyNet station, and no freeze by December 31st, the growing season continues at 277 days. The historic record shows this to be the latest date without a freeze, the previous record being December 22, 2001. The average date is November 11th. This surpasses the 274-day season in 2012 as the longest. Including this year, there have been nine first freezes in December or later. Five of these have been since 1988. By comparison, the earliest last spring freeze is March 1, 1946, and the latest April 30, 1874 (average is April 3rd). The earliest first freeze at the Coop station was October 10, 1888, and the shortest growing season was 167 days in 1874. December was the wettest month across New Jersey since this past June, with all locations at or above the monthly average. The southwest region took top honors, with Pittsgrove (Salem) collecting 7.00" and two Upper Deerfield (Cumberland) stations at 6.54" and 6.47". Elsewhere in the south, Middle Township (Cape May) saw 6.55", Brick Township (Ocean) 6.51", and Buena Vista (Atlantic) 6.09". Most other stations caught between 4.00"–6.00", with the exception of some locations in the northwest. In that area, Lebanon (Hunterdon) received 3.70", Hardyston (Sussex) 3.91", Wantage 3.93", and Denville (Morris) 4.00". The vast majority of the precipitation fell as rain, however, the evening of the 28th into the early 29th brought a mix of sleet, snow, freezing rain, and rain. That was the only frozen precipitation during the month, amounting to as much as 1.2" and 0.8" at two Wantage locations, and 0.8" at Montague (Sussex) and Bethlehem Township (Hunterdon). The northern third of the state averaged 0.4", with only traces elsewhere. This resulted in a statewide monthly average of 0.1". The first event of the month actually began late on November 30th. Off and on rain persisted into the afternoon of the 2nd. By that time a general statewide moderate soaking had occurred, ranging from 0.50" in Middletown (Monmouth) to 1.37" in Ringwood (Passaic). Other larger totals included 1.35" at Pine Beach (Ocean) and 1.19" and 1.24" at two Brick Township stations, while Maplewood (Essex) only saw 0.55". A precipitation-free period extended from the 3rd–13th. The evening of the 14th brought some rain, which was followed by a quick-moving squall line that crossed the state during the pre-dawn hours of the 15th. Moderate totals were found at Belmar (Monmouth) with 0.67", Brick Township 0.58", and Jackson Township (Ocean) with 0.58" and 0.56". The least fell in Cape May County, where Lower Township picked up 0.02". The daytime hours of the 17th brought a quite uniform statewide soaking. Of the 206 CoCoRaHS reports, 98 were between 1.00"–1.25", the top total at North Arlington (Bergen), Morris Township (Morris), and Westfield (Union), followed by 1.23" in Woodbridge (Middlesex). The other 108 reports ranged downward to 0.59" in Vernon Township (Sussex), 0.60" at Lebanon, and 0.65" in Flemington (Hunterdon). The last ten days of the month saw frequent precipitation, occasional dense fog, and very limited sunshine. The 22nd found the southeast and northwest receiving the most rain, with the least from Hunterdon northeastward to Bergen. 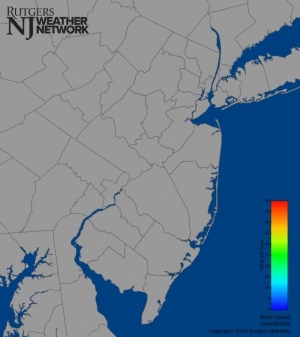 Upper Township (Cape May) received 0.73", Lavallette (Ocean) 0.72", and Rockaway Township (Morris) 0.70". Bedminster (Somerset), Bridgewater (Somerset), and Lebanon each had 0.01". 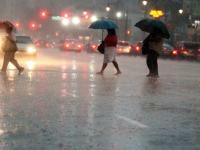 The heaviest rainfall of the month arrived close to dawn on the 23rd and lasted into the pre-dawn hours of the 24th. Largest totals occurred in Cape May and northeastern counties, with the least falling in the Pinelands and far northwest. Middle Township stations caught 2.28" and 2.02", followed by 2.19" in Kearny (Hudson), 2.00" at Wildwood Crest (Cape May), 1.98" in Upper Township, and 1.98" at Harrison (Hudson). All told, 156 CoCoRaHS stations received at least 1.00", with the least at Folsom (Atlantic) with 0.60", and 0.67" in both Berlin Township (Camden) and Medford (Burlington). 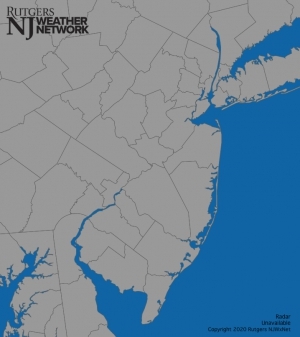 Unseasonable thunderstorms on a record warm Christmas afternoon brought heavy rain to eastern Salem and western Cumberland northeast to southern Burlington and Ocean counties. Two Upper Deerfield stations were drenched with 2.95" and 2.75". 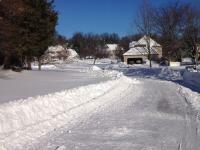 Pittsgrove received 2.63", Buena Vista 2.19", and Little Egg Harbor Township (Ocean) 1.71". While 38 southern CoCoRaHS stations received over 0.50", 99 stations, mostly north of Interstate 78, caught no more than 0.10". The final event of the year began on the evening of the 28th and persisted to the predawn hours of the 30th. While mostly rain fell, some of it freezing rain, the aforementioned first measurable frozen precipitation of the season occurred in the north. Totals of rain and melted snow/sleet were mainly between 0.50"–1.00". Heaviest amounts were along the central coast and included 1.50" at Pine Beach, 1.44" in Toms River (Ocean), and 1.49", 1.40", and 1.39" at three Stafford Township (Ocean) stations. In the northwest, Franklin (Sussex) and Wantage saw the least, with 0.14" and 0.17", respectively. The highest barometric pressure in December was close to 30.70" on the 5th. The lowest ranged between 29.35"–29.40" on the 14th and 15th. Five days saw winds gusting to 40 mph or higher somewhere in the state. High Point Monument experienced a gust of 55 mph on the 3rd, along with a 42 mph gust at Wantage and 19 NJWxNet stations gusting from 30–39 mph. The result of a deep low pressure system moving out of the area, the 15th was the windiest December day. Gusts reached 48 mph at High Point Monument, 43 mph in Sea Girt (Monmouth), 42 mph at Cream Ridge (Monmouth), 41 mph in Wantage, and 40 mph at Pittstown (Hunterdon), while 26 NJWxNet stations gusted to 30–39 mph. Later in the month, Oswego Lake gusted to 55 mph and Berkeley Township (Ocean) 40 mph on the 24th. Harvey Cedars peaked at 46 mph on the 28th and 43 mph on the 29th, when Stewartsville (Warren) reach 41 mph. The majority of this annual report focuses on the seventh annual top 10 list. Before getting to that, a brief recap of annual temperature and precipitation is in order. The statewide annual temperature of 53.8° was 0.6° above average (1.5° above the 1895-2015 average). This ranks as the 18th warmest year on record. Annual precipitation (rain and melted frozen precipitation) averaged 45.18". This was 1.76" below normal (0.16" below the 1895–2015 average), ranking 60th driest or 62nd wettest. There was a wide disparity of precipitation totals, from a wetter-than-average south to drier-than-normal north. For instance, Upper Deerfield received 56.16" for the year, followed by 55.68" at Pittsgrove, 55.13" in Franklin Township (Gloucester), 52.87" in Hammonton, and 52.83" at both Buena Vista and Lacey Township (Ocean). These totals were approximately 9.00"–12.00" above normal. In the north, Bernards (Somerset) came in with only 37.97", 38.09" at Clinton (Hunterdon), 39.25" in Woodbridge, 39.48" in Hillsborough (Somerset), and 39.62" and 39.66" at two Hawthorne (Passaic) stations. These totals were approximately 10.00" below normal. Snowfall in 2015 occurred almost exclusively from January to March. Annual totals ranged from about 10.0"–20.0" above average in central and northern counties to close to average in the south. Among the highest calendar year totals were: Bethlehem Township 58.6", Jefferson Township (Morris) 54.1", Rockaway Township 53.2", Holland Township (Hunterdon) 52.9", Mine Hill (Morris) 52.9", and Randolph (Morris) 50.6". 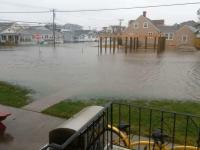 On the low end, Estell Manor (Atlantic) saw 18.0"–21.8", Woodbine 21.3", Buena Vista 22.3", and Wildwood Crest 23.5". Listed below is the Office of the NJ State Climatologist's ranking of the top 10 weather and climate events of 2015. More about each event can be found in the monthly narratives posted on njclimate.org. You might be tempted to rearrange the rankings, particularly as some of the events down the list may have affected you more than others ranked higher. Or perhaps you best recall one that didn't make the list. That's the enjoyment (and frustration!) of lists. While there are a variety of events that made the list, the variable that more often than not took center scene in 2015 was the temperature. Be it warm or cold, the thermometer had stories to tell. Unless stated otherwise, observations are based on an average of several dozen stations. The period of record for monthly and annual departures is 1981–2010; while for extremes and rankings it is from 1895–present. Record high temperatures for the month and a number of individual days were smashed in what was a month unlike any previously observed in NJ. Statewide, average of 47.8° is the warmest December on record. The departure of +12.2° is the largest of any monthly departure recorded. It surpasses the previous record of +11.0° in January 1932. The maximum temperature was at or above 70° somewhere in the state on 7 days. Some locations set a record for consecutive days of high temperatures at or above 60° from the 10th–15th. Five months in top 5 for warmth or cold. February, with an average of 22.1° was the one month on the cold side with a departure of -11.7°. This is one of the largest negative departures of any month, the greatest being -15.6° in February 1934. May 66.0° (+5.2°, rank 3rd), September 70.7° (+4.5°, rank 3rd), and November 49.3° (+3.7°, rank 5th) join the 1st ranked December. Despite these monthly extremes, the statewide annual temperature of 53.8° was only 0.6° above average (1.5° above the 1895-2015 average). This ranks as the 18th warmest year on record. January–March temperatures averaged 28.5°. This is 6.3° below normal and ranks as the 3rd coldest. This includes departures of -3.5° in January, -11.7° in February and -5.5° in March. The temperature dipped below zero on 27 January–March days at Walpack (Sussex County), bottoming out at -20° on February 24th. Extreme minimums rivaled those in early 2014 as the coldest in NJ since the 1994 and 1996. On a number of days wind chills were dangerously low throughout NJ. Severe squall line impacts southern NJ June 23rd. Straight-line winds and likely several microbursts resulted in numerous trees, branches, wires, and fences being blown down. Gusts reached 71 mph at Hammonton (Atlantic), Mullica (Atlantic) 69 mph, Harvey Cedars (Ocean) 68 mph, and Oswego Lake (Burlington) 65 mph. Downburst winds likely exceeded 80 mph in some areas. Several hundred thousand customers lost power and communication networks were out for an extended period. The worst south Jersey damage since the June 29–30, 2012, derecho and largest power outage in NJ since Sandy in October 2012. Statewide average of 34.5" was only 8.3" above normal. However, in the north the average of 50.5" was +15.7" and in the central region 41.4" was +12.3". There were 19 snow events where 2" or more fell in one or more locations around the state. This includes 3 in November–December 2014 and compares with a record (based on 10 years of compiling such numbers) 20 in the 2013/14 season. The most widespread sizeable event was on March 5th with 5.0"–9.4" over more than 90% of the state. Despite all the events, only two (11/26/14 and 2/1–2/2) had a few stations receiving as much as 10.0". Cold conditions resulted in some of the most continuous snow cover on record over central and northern regions. The 48 consecutive days with two inches or greater cover at New Brunswick (Middlesex; 1893–present) was the 3rd longest on record (maximum 53 in 2011). Coastal flooding was moderate to severe from the 1st to the 5th; the worst since Sandy, but not close to approaching that event. Winds gusted up to 55 mph at Harvey Cedars (Ocean) and 49 mph in Sea Girt (Monmouth). Winds at Harvey Cedars exceeded 20 mph for 122 consecutive hours (4PM September 30th–5PM October 5th), 30 mph for 99 consecutive hours, and 40 mph for 61 consecutive hours. From September 30th–October 3rd rainfall was as much as 6.77" in Lacey Township (Ocean). 79 of the 220 CoCoRaHS reports exceeded 2.00", with 179 reports over an inch. This event was not directly associated with Hurricane Joaquin, rather NJ was squeezed between persistent areas of low pressure over the Southeast US and high pressure over eastern Canada. The rain was associated with waves of low pressure that moved along a stalled front between these systems. Statewide annual precipitation (rain and melted frozen precipitation) averaged 45.18". This was 1.76" below normal (0.16" below the 1895–2015 average), ranking 60th driest. Rainfall was below average during the majority of the warm season. May (-2.88"; 3rd driest), July (- 0.63"), August (-2.01"), and September (-0.43"). Significant drought concerns were “saved" by 4th wettest June, with 8.29" falling (+4.27"). As a result of below-normal rainfall, streamflow, and ground water levels, three of the six NJ Department of Environmental Protection Water Supply Regions were placed under a Drought Watch on September 23rd. The watch continues through year's end. Northeast NJ ends the year in D1 category (moderate drought) in the US Drought Monitor. The remainder of northern NJ is categorized as D0 (abnormally dry). While there were no records exceeded for days with temperatures above 90° and no location reached 100° during the year, the excessive warmth of May and September resulted in a record number of days equal to or exceeding 80° in parts of the state. New Brunswick equaled or exceeded 80° on 120 days. The previous record maximum was 115 days in the record hot summer of 2010. This summer included a consecutive string of 82° or higher daily maximums of 66 days that ended on September 9th. This far exceeded the previous such string of 42 days in 2010. The persistent warmth was accompanied by virtually rain-free weekends and holidays for the second consecutive summer. A thunderstorm remained stationary over western Union County on the afternoon of August 19th. A US Geological Survey gauge in Mountainside measured 6.31" (including 3.82" in one hour) and a CoCoRaHS observer measured 4.02" 1.1 miles away in New Providence. Meanwhile, just several miles away, little to no rain fell. The resulting flash flooding led to the collapse of a retaining wall at a quarry that crushed 10 cars and major flooding on Interstate 78 and State Route 22. Most forecast models predicted several feet of snow from a late January storm. The storm missed on the 27th–28th, instead burying Boston and other locations to the east with such prodigious totals. For a time in late September into early October, forecasts from the National Hurricane Center suggested that NJ was in the cross hairs of major hurricane Joaquin. However, atmospheric conditions, including those described under event 6 above, conspired to track the storm from the Bahamas to Bermuda and up into the north Atlantic. The growing season failed to end at the National Weather Service Cooperative Weather Station in Atlantic City. As of December 31, this station has not achieved a daily minimum temperature of 32° or lower during the post-summer period. The last freeze was March 29, making the growing season 277 days and counting. The latest previous freeze at this station (records back to 1874) was December 22, 2001, and the previous longest season was 274 days in 2012. This compares to the 145-day freeze-free 2015 season at Walpack (Sussex; May 25th–October 16th).